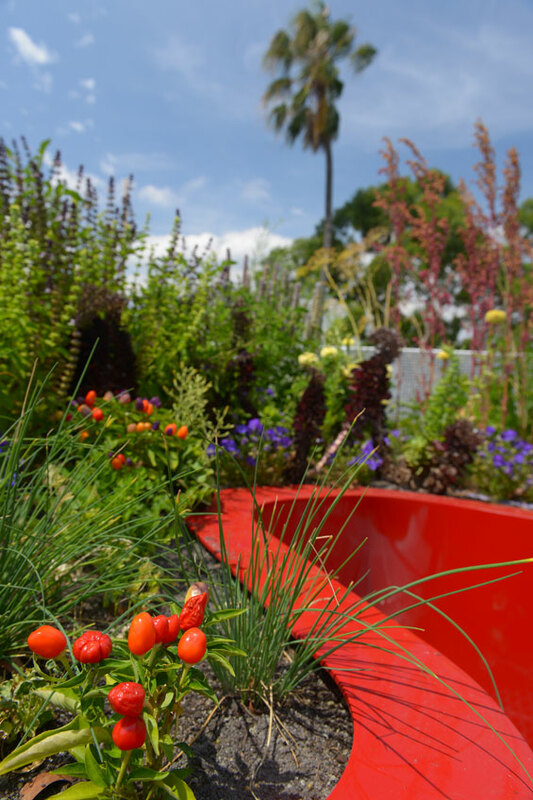 Green infrastructure, including the installation of plants on under-utilised urban surfaces, can provide significant environmental benefits for our cities. 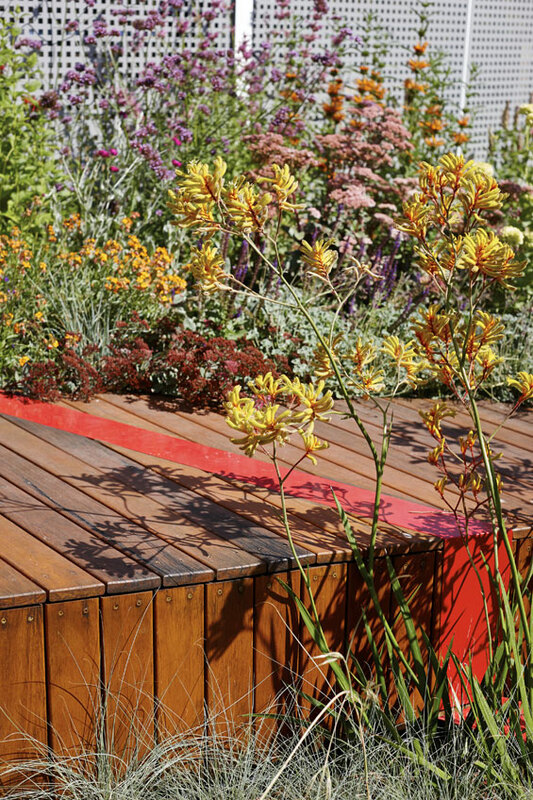 These green interventions have the capacity to cool the urban environment, reduce energy consumption, mitigate flooding and increase habitats for biodiversity. 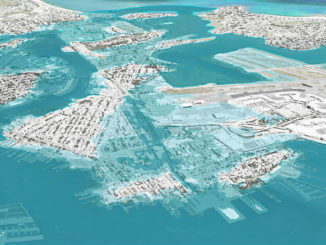 They provide an opportunity to evolve the way we develop the built environment, to maximise existing infrastructure and lower the need for costly upgrades. 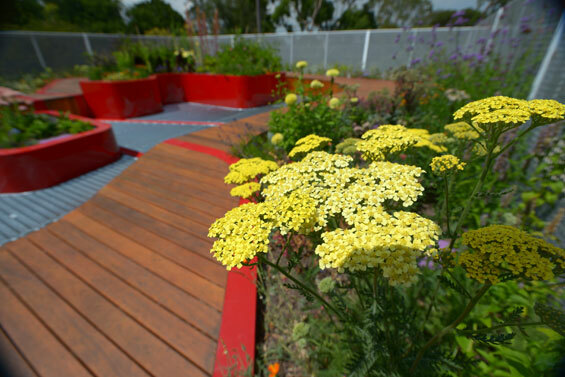 The Burnley Living Roofs, recently opened at the University of Melbourne’s Burnley Campus, is a world-class research and teaching facility – the first of its kind in Australia. The University has established the facility to demonstrate to the wider community how green transformations can be achieved in our cities, aspiring to lead through example. Designed by HASSELL in close collaboration with the University’s leading academic researchers in the fields of green roof technology and urban horticulture, the Burnley Living Roofs provide purpose-built facilities for the University to continue their pioneering research in this important field of sustainable building design. 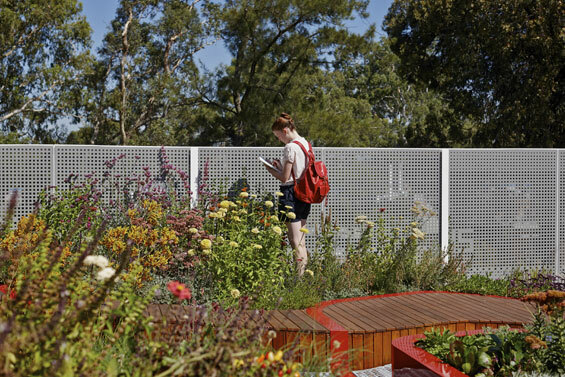 It enables the University to carry on providing information and independent advice on green infrastructure technologies that is practical and deliverable in the Australian climate. 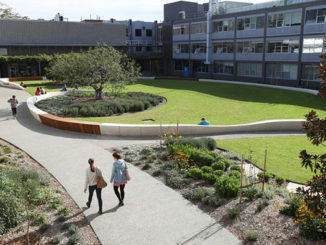 Installed on the top of the Burnley Campus administrative building, the facility comprises three separate roofs, providing cleverly integrated spaces that collectively allow for the full spectrum of activities undertaken in relation to the University’s green roof research and advocacy programs. The spaces are carefully structured to allow for the specific functional objectives assigned to each roof. 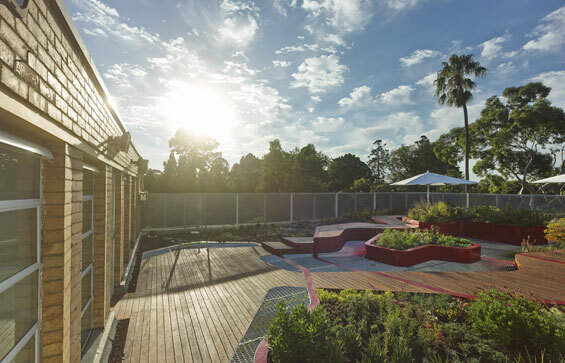 The Biodiversity Roof is designed to ensure minimal human intervention, with the aim to provide a protected space for experimentation with Australian native plants as urban habitat that encourages colonisation and supports biodiversity. 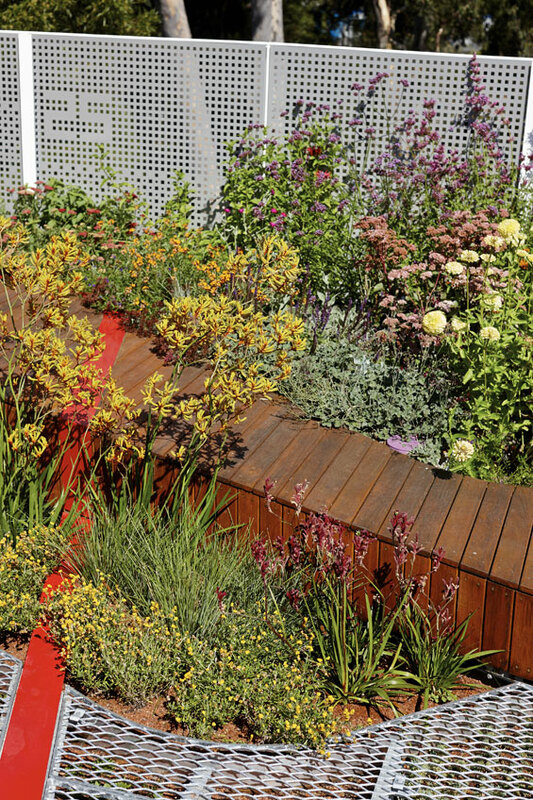 Through the application of plants indigenous to Melbourne, the installation of natural and recycled elements including logs, sticks, roof tiles and different aggregate types, and the creation of a small stream of water directed from a higher roof; it creates bird, insect and reptile habitat. The anticipated colonisation of these animals will be observed over time. The Demonstration Roof is an exhibition and interpretive space for day-to-day educational activities. 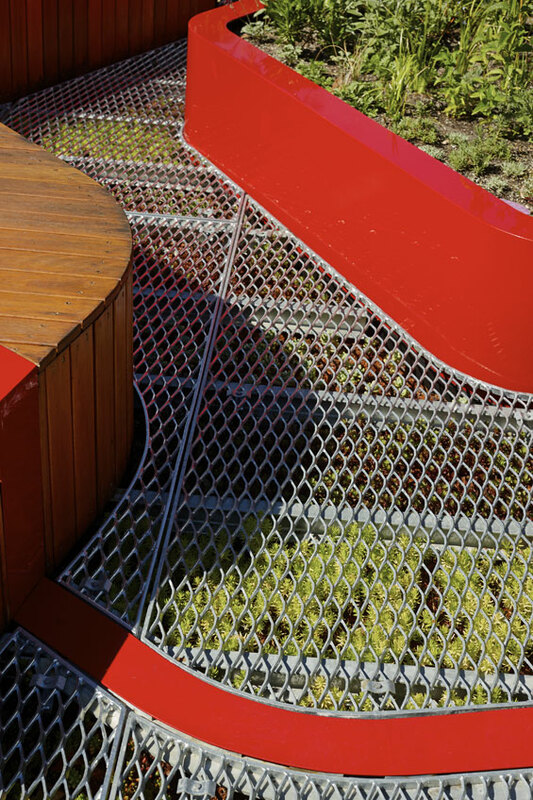 Its design evolved through the layering of multiple functional objectives – starting with the idea that the whole green roof was a wedge, grading from a shallow to a deep profile. It is then sub-divided into irrigated and non-irrigated territories, establishing diverse planting zones. 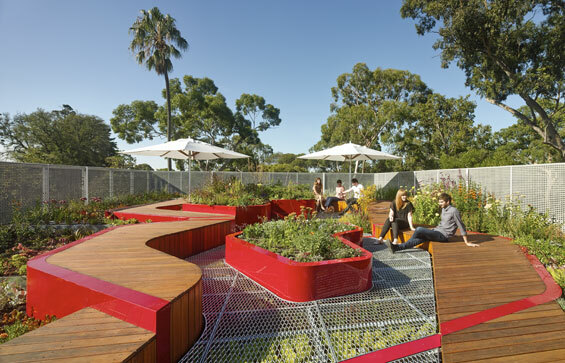 Superimposed over the wedge, a circular walkway encounters each micro plant community and includes seating edges and a number of ‘pockets’ of intimate space for teaching. 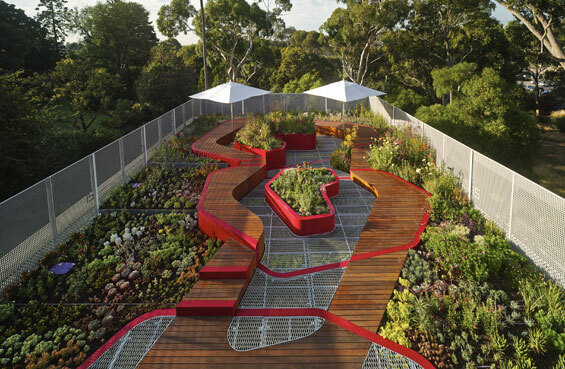 A series of bright red lines whimsically thread through the garden, sometimes tying together these experiences, at other times encapsulating fragments of other experimental landscape zones. 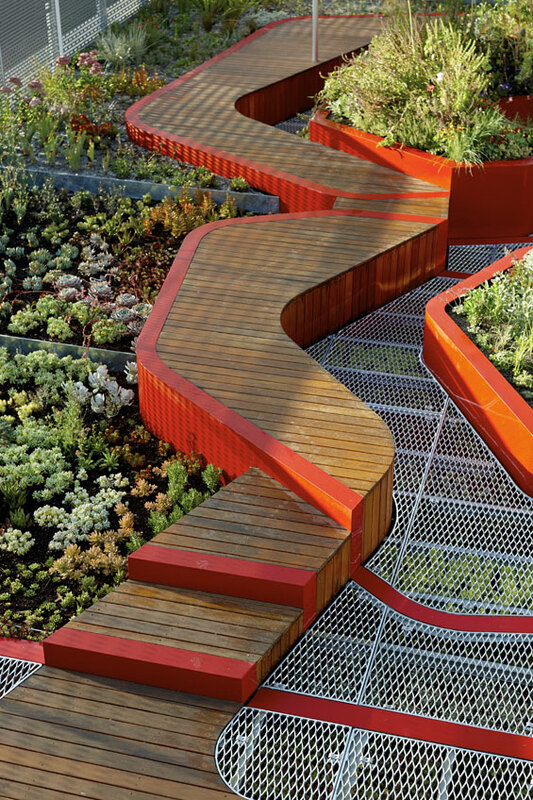 The journey begins and ends with a larger deck that offers space for conversation about the garden before and after experiencing it. The design process involved a true collaboration with the University. Their specialist knowledge and previous research in this developing field have greatly influenced the HASSELL design approach and the overall project outcome. The Demonstration Roof has been almost entirely fabricated and assembled in a factory off-site and then reassembled on the rooftop, representing an innovation in design, research and construction methods. The design is unapologetically bold and captures attention. It seeks to gain exposure by attracting interest from the design community, stakeholders in sustainable development, and the media, to promote discussion and education on green infrastructure and living buildings. 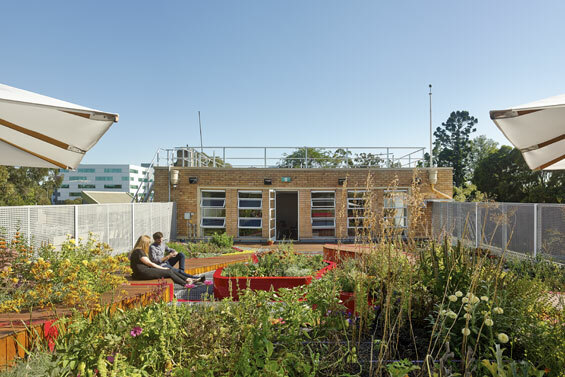 The Burnley Living Roofs project is enabling the University of Melbourne to reach out to the wider community, as an advocate for the broad application of green roofs in Australia.